Lot 7 – A personalised metal fireside companion set. 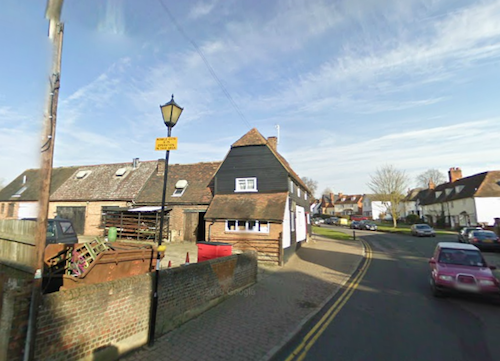 Yalding Forge is a focal point on the Yalding High St and just across the road from the church. This family run business with five generations of history and presence in the village sine 1950 will create your very own companion set. Blacksmith Tim Dunmall will advise and guide you on the style and design he can create for you so it will be very much a very personal creation. Tim can even emboss with whatever name you desire. So this could make a very unique gift or present for a loved one. Categories: Information | Tags: Auction of Promises, Companion Set, Fundraising, Kent, Yalding Church, Yalding Church Preservation Society, Yalding Forge, YCPS | Permalink. The renovation of the medieval chest is one of the most recent projects funded by YCPS to assist Yalding Church in its duty of care for the fabric and contents of the church. The Chest dates from between 1350 and 1450, having thus been in constant use for the storage of church valuables, documents, vestments and church plate, for about 600 years. It had been divided into two unequal parts in about 1450 and has four generations of hinges and locks dating from its original construction, from the time it was divided, from some time in the 18th century and from the 19th or early 20th centuries. It may at some period have been brightly painted. The restoration was carried out by Neil Wakeling, with assistance from Sterne’s forge in repairing the iron strapwork and making nails to fit. Categories: Information | Tags: Fundraising, Kent Churches, Medieval Chest, Neil Wakeling, Yalding Church, Yalding Church Preservation Society, Yalding Forge | Permalink.